this is the last attempt at molding the tile. We left the cling film off and put vasaline straight on the mold then poured the plaster straight on. 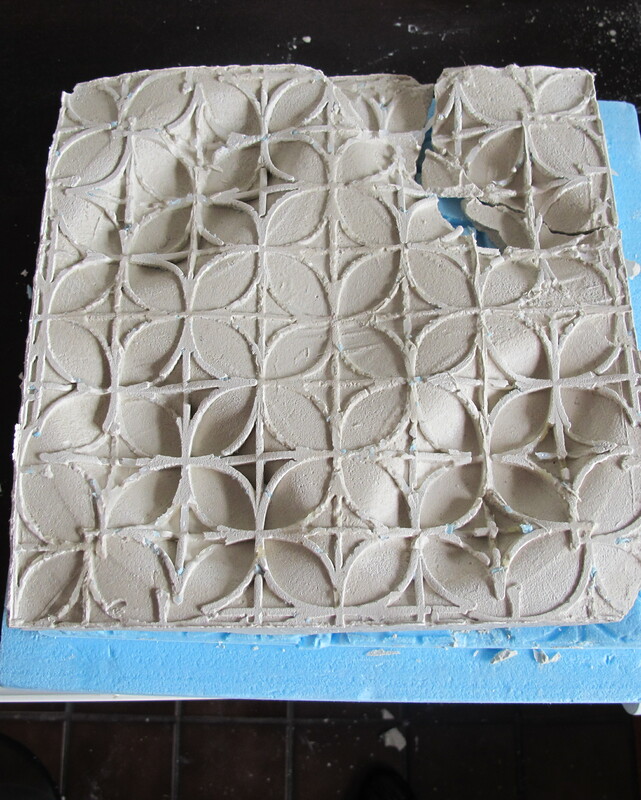 The plaster got stuck in some of the creveses and the vasaline didnt let some of the plaster form in the tessellation cut. It caused it to stick a bit at the side which made it crack. Anyway I think it is a better attemet then the last ones so…….